ETNA is a financial technology firm that provides white label online trading platforms to brokers, trading and FinTech firms. 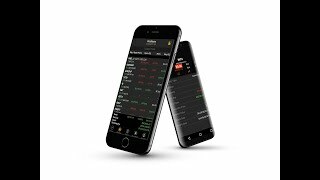 ETNA Trader suite comes with an HTML5 web trading front end, mobile trading apps for iOS and Android, OMS with order routing and back office software to manage users, accounts, positions, risk and compliance. 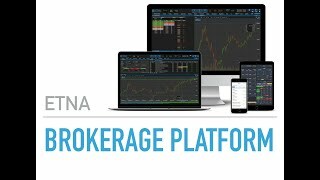 ETNA's powerful trading software automates online brokerages by streamlining execution, routing and crossing, clearing, compliance, risk management, back office automation, portfolio management and algo trading. The platform can be utilized for a wide range of asset classes: stocks, options, forex, futures, crypto currencies and exotic instruments. The ETNA Trader software is easily customizable to be used as a foundation for new FinTech products and services as well. ETNA's disruptive pay-as-you-go pricing plans give access to the future of e-trading technology today with minimal risk, effort and time. ETNA is a privately owned company founded in 2002. Headquartered in New York City, ETNA has been consistently delivering its financial software products and consultancy services to clients in the US, EMEA and APAC for more than 10 years. Among our clients are SAXO Bank, TradeKing, Sterling Trader, Tradier, SogoTrade, Trading Block, Blaze Portfolio Systems, Allianz. ETNA's software applications are regularly nominated and featured in industry specific ratings like Barrons' Best Online Brokers List by Wall Street Journal.